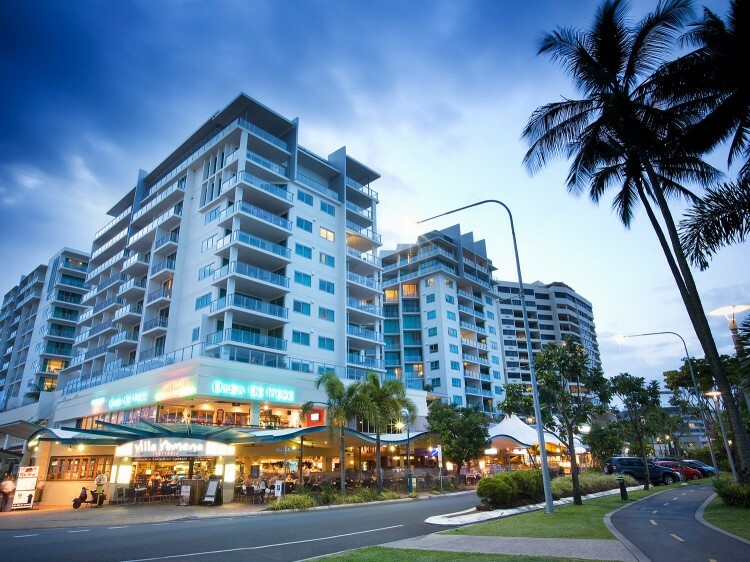 Mantra Trilogy is ideally located above the Cairns Esplanade with direct access to shops, restaurants and cafes. Spend a lazy afternoon on the pool deck overlooking the ocean, cook up a barbeque on the resort lawns or have an invigorating workout in the gymnasium. At dusk, relax on your private balcony at Mantra Trilogy with a cool drink and watch the yachts and vessels returning passengers from their day on the reef. All apartments offer an open plan design and are air conditioned for year round comfort. 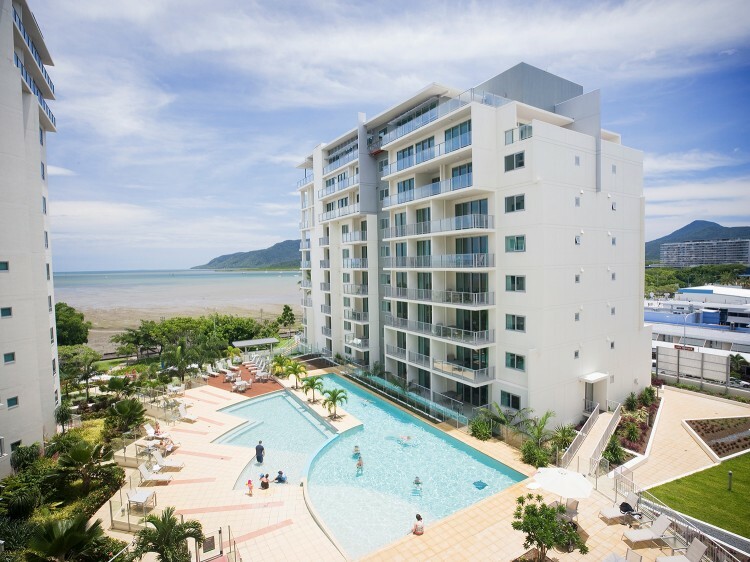 Spacious living and dining areas open on to balconies with attractive outlooks, ideal for entertaining in the casual Cairns style. Mantra Trilogy’s sightlines ensure virtually all apartments have extensive views of the newly developed beachfront. 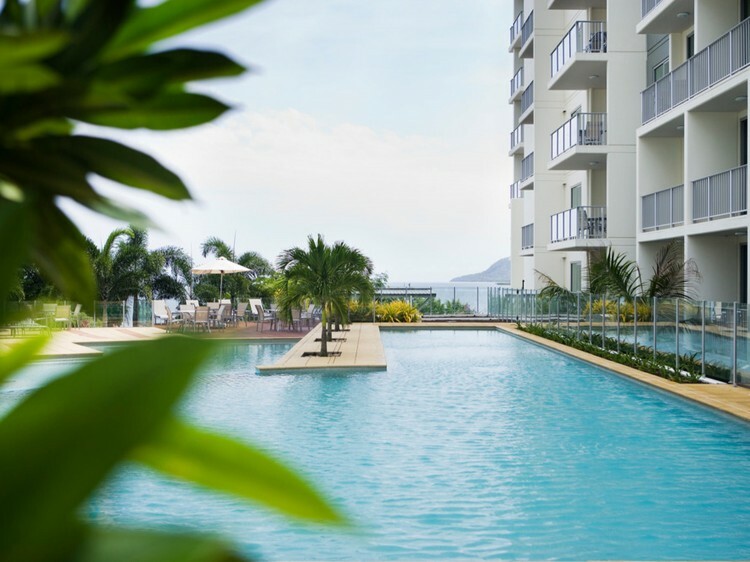 Offering open plan designed hotel rooms to spacious self-contained one, two and three-bedroom apartments all have cable TV, private balconies with views over the pool, surrounding mountains or ocean. 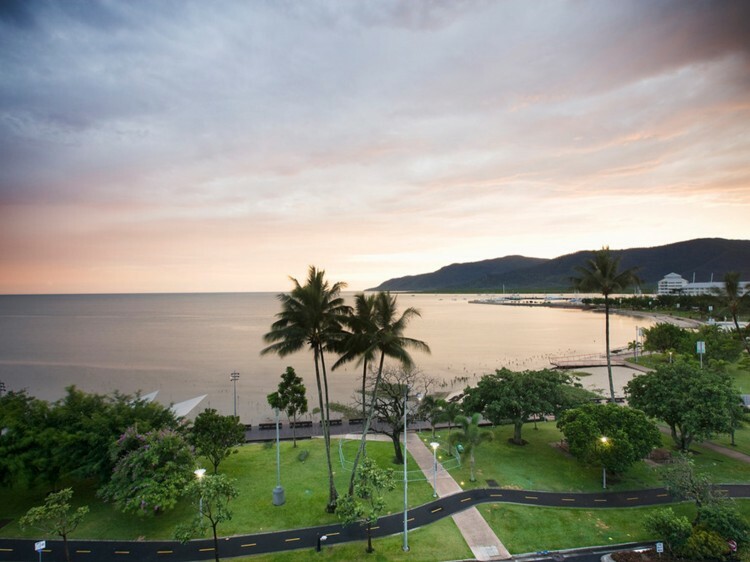 The city of Cairns, hugging the waterfront and waters of Trinity Bay, epitomises the vibrancy that has now infused the tropical mood of the north. The Cairns Lagoon and adjacent parklands incorporating boulevards and walkways, has injected new life into the Esplanade and surrounding precinct. Consists of interconnecting Hotel Room and 1 Bedroom Apartment . Photo ID and a credit card pre-authorisation will be required on check-in for all bookings. Should a credit card not be available, you will be required to pay a cash bond of $200.